The Brazilian Grill is a family-owned restaurant, established in 2000 in Hyannis, Massachusetts. We offer an authentic dining experience featuring homemade recipes from southern Brazil, passed down from generations. The main attraction is the Churrasco a Rodizio, the traditional Brazilian barbecue, served table-side by Gauchos, who carve up skewers of beef, chicken, pork and lamb that have been grilled over wood fire, just as the legendary Gauchos would have done in the Rio Grande do Sul region of Brazil. Accompanying the barbecued meats is a full-course exceptional salad bar, with delicious Brazilian side dishes made from typical Brazilian ingredients. BOM APETITE! 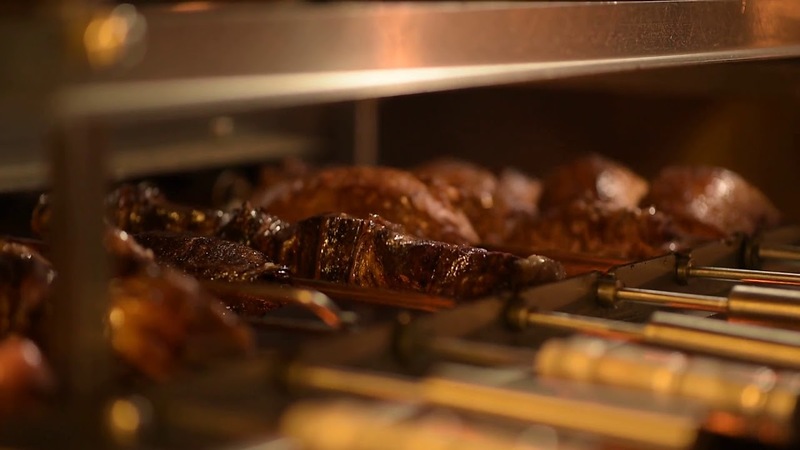 We offer an authentic Brazilian dining experience as we serve you various cuts of slowly grilled meats over natural wood charcoal and seasoned to perfection. We also offer a buffet of soups, fresh salads and side dishes. And remember to save room for our homemade Brazilian desserts. Private rooms available for large parties up to 80 people.